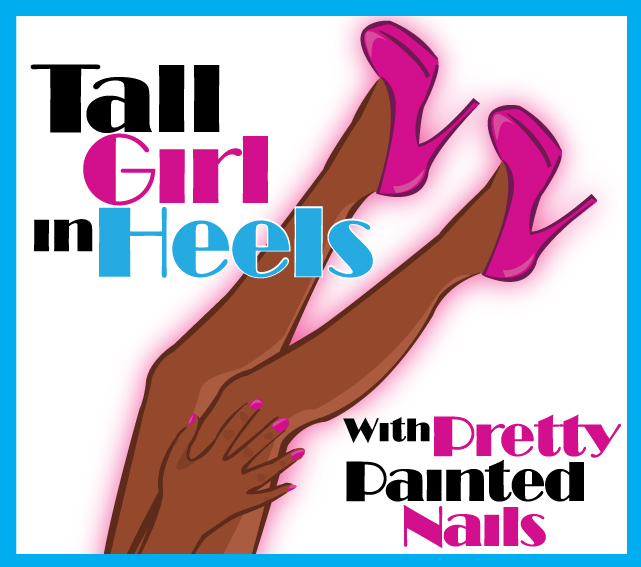 Tall Girl In Heels : Zoya Robyn -Try It On Tuesday!! For today's Try It On Tuesday, I decided to use the color I tend to hoard most. If you've been following me for awhile, you know that the color is BLUE :-). The blue decided on is Zoya Robyn! What better blue to try? 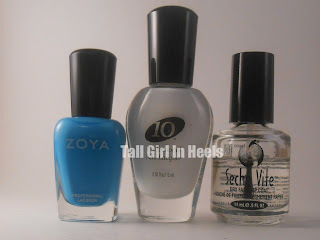 Zoya describes Robyn as the "perfect turquoise cream." Robyn is darker than shown here on Zoya's site, but she is still a pretty vibrant blue. I like this color!! I decided that I wanted this beautiful color to be accented by a white. 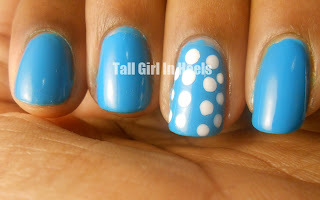 Instead of polishing a white accent nail, I did white dots as an accent. The white I used is my favorite white, 10 Lady In White. 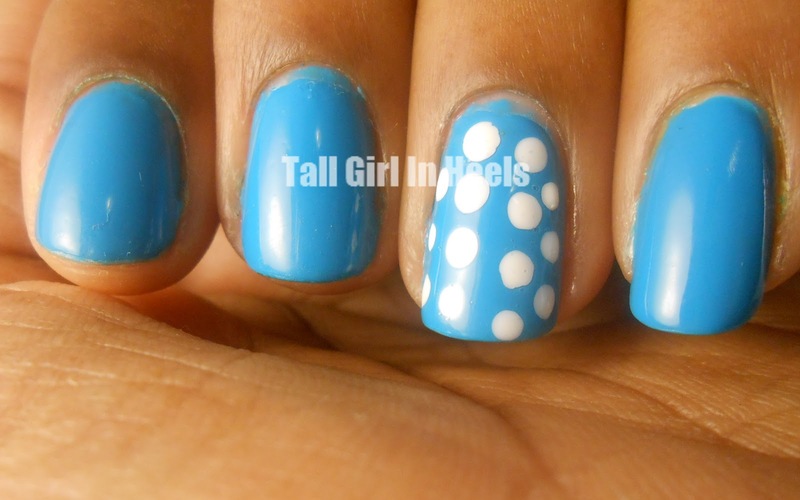 and dotting tools to achieve the above look. I love this combination! What do you think? It's a very beautiful Blue. i love dis color im a sucker for blues!